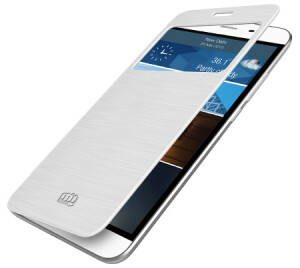 Micromax Canvas Doodle 4 is yet another smartphone to be launched by Micromax. It will feature a huge 6 Inch screen with 960×540 pixels at 184 dp display. With comparison to its screen size, the pixel quality are not looking impressive. This could rather result in low video quality and some poor graphical display while playing high end games. But looking at its other features and price tag, one can rule it out. Talking about its performance, the Micromax Canvas Doodle 4 comes with a MediaTek 1.3GHz quad-core processor, with 1GB of RAM. Hence we can say that Doodle 4 is an average performer when it comes to performance. You can play average games with medium graphical settings. But the smartphone will lag heavily while playing high end games. Also there will be slight problems while playing high quality Movie Videos. Micromax Canvas Doodle 4 sports a 8 Mega pixel primary camera with autofocus. It also features a 2 Mega pixel secondary camera.Hence we can expect an average performance from camera under daylight. It also features a 3000mAh battery with over 7-8 hrs of backup. 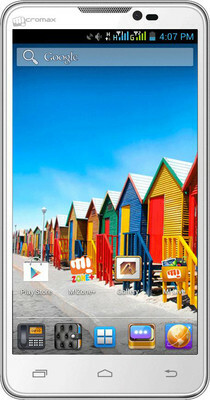 Micromax Canvas Doodle 4 is available at Rs 8,699 in Infibeam and Rs 9,269 in Snapdeal. Since Micromax has a history of delivering high quality mobile phones under low price. We can say that Micromax Canvas Doodle 4 can do well in market. The only thing that looks odd is the 6 Inch display screen. Looking to buy a Micromax Smartphone, checkout our list of Micromax smartphones that are ready to be launched till 2015 end. Also subscribe to our newsletter to get latest updates. Also like our Facebook page here.